We feel immense pleasure to introduce ourselves as India's leading legal trademark consultant, who is specialized in providing trademark registration services in India. If you are looking for an authentic and reliable service provider for trademark logo registration services from anywhere in India and world, then you are at the right place. Our firm, a team of highly qualified and experienced professionals will work for you from the beginning from Trademark Search, Trademark Filing, Trademark oppositions, and Appeals, trademark registration, international trademark registration services and Trademark Enforcement services, keeping your complete satisfaction in mind. Our experienced team is expert in solving all types of matters related to trademark registration process. Customer satisfaction is our prime motto and this is the reason why, we are recongnized as high quality trademark registration service provider in India. Trademark as defined in the Trademarks Act,1999 means a mark capable of being represented graphically and which is capable of distinguishing the goods or services of one of person from those of others & may include shape of goods, their packaging and combination of colors. Trademark is an important form of Industrial Property Rights. It plays a key role in a world economy. The following are some of the important factors associated with Trademarks. The most important thing before registering a trademark is to get it searched. Trademark Search not only provides an opportunity to the user or owner of the mark to explore the probabilities of similar names associated with his captioned mark but also safeguards his interest in the mark. Trademark search is just like a license to enter into the arena of global market with a particular mark. Indian Legal Consultants is a place where Trademark Search is carried out at a very reasonable rate. Our main priority is to provide best services to the customers as early as possible. After search, the most important step is to get the Trademark registered. Registration of trademark is extremely important since it provides an opportunity to the user, proprietor to protect his mark from being infringed. 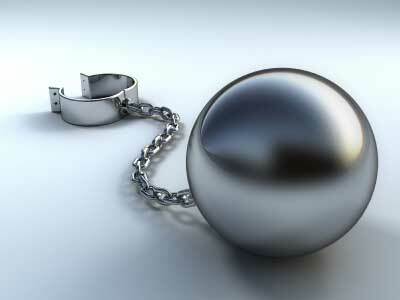 It provides legal right to the user/proprietor to safeguard his mark in case it is violated by some other person. It is indeed the most important factor by which customer starts to develop faith in the quality, service and various other components of a particular brand. A Trademark is registered for a period of 10 years. After that, it is renewed for a further period of 10 years. Indian Legal Consultants is one of the authentic providers of Trademark Registration Services based in India. Our main aim is not only to get a captioned mark registered but also to provide each and every services concerning Indian Trademark Registration. Our whole bunch of experienced associates work very hard to search trademarks, oppose trademarks, renew Trademarks and to do each and every activity concerning Trademark Legal Services and Trademark Filing Services in India. A proprietor or Trader is known in the commercial market because of his trademark. Trademark not only provides an identity to its user but also plays a very vital role in making an impact in the minds of the consumers. People differentiate between quality, cost and services of various brands on the basis of Trademark. The goodwill of a Trademark user is built in the commercial market on the verge of Trademark. Thus, there is every possibility that it might get violated. Even a single mark resembling the mark of a registered user may affect his business adversely. Before Registration, a mark is advertised in the Trademark Journal for a period of 3 months and a further period of one month when a request is filed for extension of time. During this period, anyone can oppose it. In Indian Legal Consultants, we not only keep a watch on similar marks but also safeguard the rights of Trademark user or owner by filing Trademark Opposition in India. We also provide other services related to trademark such as suggesting a suitable business name, providing legal advice, fighting legal matters in court etc. Trademark includes different kinds of marks such as device, brand, heading, label, ticket, name, trade name & container. The procedure to register the aforesaid trademarks is one and the same however it changes with the change of applicants. For e.g. in case of a company the registered name of the company should be used for filing the application. Application by a proprietor of partnership firm shall be made in the name of the partners P, Q, R trading as z; same is the case with a Hindu Undivided Family. The application by a Union or State government shall be in the name of the Government of India/ state government trading as z. In case of minor the application should be made in the name of minor represented by the guardian. An application pertaining to a trust should be made in the name of the trust through its chairman B, trading as C. An application can also be filed in the name of two applicants. Thus, as soon as an application is filed it gets examined by the registrar and after clearing all the objections raised by the registrar or objections from any other person or party the trademark gets registered. Prior to its revision in 1988 the U.S. law required prior/actual use as a pre-condition to registration. Presently under the amended law, the USPTO (i.e., United States Patent & Trademark office) also accepts application for registration of a trademark based upon a bona fide â��intent to useâ��. However, registration of the mark of such â��intending to useâ�� applicant becomes effected only upon the applicant filing an affidavit in the form of â��statement of useâ��, showing actual use of the mark, within six months from the date of issuance of the notice of allowance. This time period is however extendable up to thirty-six months. Section 1 of the Lanham Act lays down the procedure of registration of a trademark. One must apply for registration by filing a written application accompanied by a drawing of the mark and specimens showing actual use of the mark (where the application is based on actual use & not â��intent to useâ��) and the prescribed filing fees. Trademark applications can also be filed on-line through â��Trademark Electronic Application systemâ��(TEAS) by logging in the USPTO website (www.uspto.gov.in). After filing of the receipt of application the USPTO examines the same to determine its registrability both in terms of its distinctiveness as well as its confusing similarity with other marks. The registry then issues either a notice of allowance or a preliminary rejection. In case of rejection the applicant has six months time to respond by amending the original application in light of the grounds of rejection or by offering arguments in support thereof. A final refusal is appealable to the Trademark Trial & Appellate Board. Where the mark is allowed, the same is published in the Official Gazette to invite oppositions to the registration of the mark. The period within which an opposition is required to be filed is 30 days, which is also extendable upon request of a potential opposer. Where no opposition is filed or where the same is unsuccessful the mark is registered. However for â��intent to useâ�� application registration is withheld till the applicant files his statement of use as aforesaid. An international registration remains for ten years and it can be further renewed for a period of ten years only at the payment of requisite renewal fees. As far as the international registration is concerned it may be renewed with all the countries associated with WIPO or with any one of them. The proof of use to renew may or may not be required by the Madrid Protocol. However, in order to maintain a registered protection of extension, the countries that are member to this protocol may require this. Also, if the international registration expires it will have effect on all the countries linked with it. Thus, failure to renew an international registration without any criminal intention may have unassuming consequences. Before the expiry of six months from the due date, WIPO will send a reminder to the owner. The international trademark system is mainly governed by two international treaties, i.e. the Madrid Agreement and the Madrid Protocol. 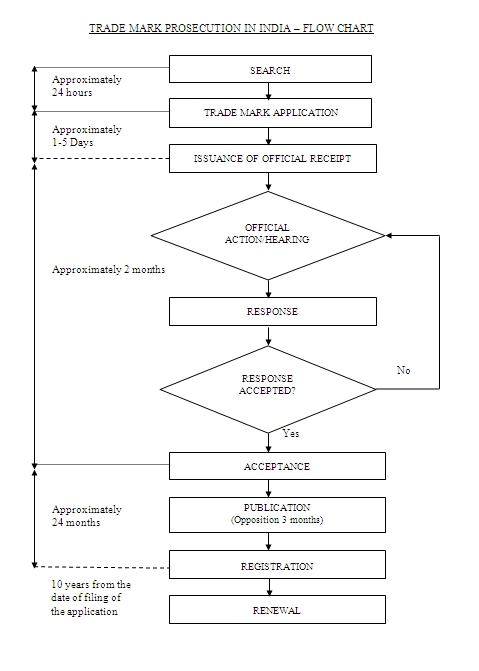 The international agency will not accept renewal in respect of some of the goods or services specified in the register of trademarks, therefore if the applicant wishes to cancel some of the goods or services specified in the register than he must file a separate cancellation application affecting the same. The renewal service is provided as per the wish of the trademark holder. There is also provision for renewal through e-services. Thus we can guarantee you that there cannot be best firm providing renewal services other than Indian Legal Consultants. In India, there was no proper legislation concerning Trademark matters prior to 1940.The cases of trademark infringement and trademark violation were governed by the rules and regulations of Specific Relief Act and Indian Penal Code. These rules where not competent to provide proper relief as a result a need was felt for the enactment of new laws pertaining to trademark matters. Looking into the present situation pertaining to Trademark law the parliament enacted the Trademark Act, 1940 but this was also proved a major setback as most of the well known marks where not getting importance due to provision of distinctiveness laid down in the Act. Thus there was enormous demand and need for enlarging the limits of the Act, which resulted in the passing of Trade & Merchandise Act, 1958. Nearly for forty years the act helped in safeguarding the trademarks of India but with the passing of time and development in the field of science, industry and technology a need was felt to bring new provisions which led the parliament to enact Indian Trademarks Act, 1999. The main objective of the new Act is to consolidate the laws relating to goods and to introduce new laws relating to services. The new Act also laid down provisions concerning licensing of trademarks. Trademark can be termed as a mark, device, logo, or a symbol by which business of various traders, manufacturers and service providers are recognized locally as well as internationally. It can be traced down that a business is mainly recognized in the commercial market due to its trademark. Trademark plays a very important role in making people realize the qualities of particular business. Trademark like any other property yields income and has to be protected in a proper manner. Although filing of trademark applications are very simple, it should be assigned to or taken care off by a person well versed in the field of trademarks. The important stages of trademark registration such as replying to the objections of the examiner, attending hearing and looking after the entire opposition (if any) can be handled only by a proper agent or attorney well versed with the facts of this field. For your kind information and knowledge most of high profile trademark agents are associated with as well. Thus if anybody is really interested to register the mark with a well versed trademark attorney and that too at a very reasonable price than please intimate us at the number or address provided at the end of this page. An applicant filing an international trademark application needs to begin with home application or registration. Before filing an application, a trademark search is must. The home application must be filed for the same services for which international protection is sought. International Trademark Registration is managed by very few governing bodies. The most common of these bodies is called the Madrid Protocol, which it covers more than 65 member countries. At present, trademarks can be protected in 16 African countries through the AOPI and the European Union through the Community Trade Mark. Once the home application has been filed, the next thing is to file an international application in the applicant's home trademark office where the home application was made. The filing of international application is processed through the home office of the applicant. It must contain at lease one country from the member state of the Madrid protocol and may extend include upto 60 such countries. The fees of the application are determined on the basis of number of marks to be filed in different classes and number of countries specified in the application. Once the application is processed than it is forwarded by the home office to the International organisation i.e. WIPO. The filing and registration services of International trademark application are provided by various bodies. Law Firms are regarded as those places where most of the aspects concerning legal fraternity are looked after in a proper manner. Law firms comprises of different departments to look after different fields of law. A trademark law firm is a place which wholly and solely looks after all the matter concerning trademark. It mainly includes trademark filing, trademark prosecution, trademark registration, trademark renewal, trademark litigation and various other aspects concerning trademark. Most of the trademark agents are associated with trademark law firms all over the world. The filing of trademark application seems to be simple but it does have its technicalities and complexities which are required to be handled as per the statutory requirements so that it can be processes swiftly. The proof pertaining to trademark agents can be accessed through the site of Trademarks Registry. Most of those trademark agents are associated with this site. Thus it is professionally advised to take the help of trademark professionals associated with us so that all matters pertaining to trademark can be safeguarded and protected systematically. Trademark is basically regarded as a medium through which the business of different people, associations, organizations and incorporations are recognized in the national and commercial market. 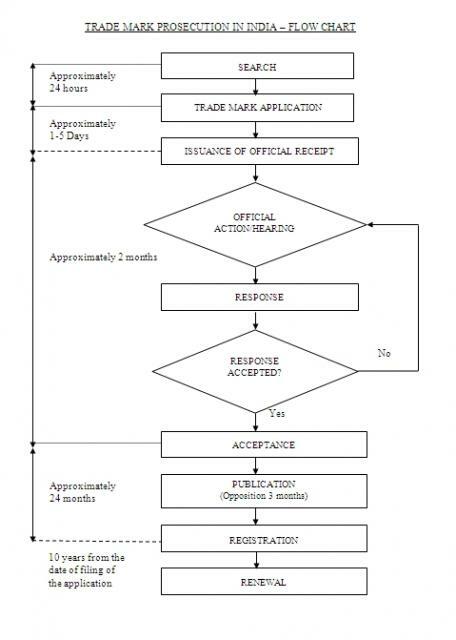 The filing of trademark application is very simple. Any individual can file a trademark application. But the important stages of trademark registration are filing reply to the examination report issued by the Trademarks Registry and attending hearings. Thus in order to curtail this stages it is very important to engage a lawyer well versed in the field of Trademark. Most of such lawyers are associated with ILC. Indian Legal Consultants not only looks after the entire process of trademark registration at a very reasonable rate but also provides qualitative service keeping in mind the interest of the applicant. Trademark Law firm: - Law Firm in India is a place where all the work concerning legal field is executed in a proper and efficient manner. Mostly all the prominent and efficient lawyers are associated with different law firms. A trademark law firm is a place where matters concerning Intellectual property are given top priority. Trademark law firm not only guarantees the execution of work in a proper manner but also deals with different aspects efficiently like trademark filing, trademark search, filing replies to objections by examiner, filing oppositions, trademark registration etc. Most of high profile lawyers are associated with TM-India as well. Thus TM-India offers the most experienced and prominent lawyers to deal with the matters concerning trademark in India. A trademark logo is something which is used to differentiate the goods or services of one person from that of the other. As compared to brand name or trade name it is more convenient to differentiate the business of different proprietors through logo. Logo not only helps the perspective buyers in identifying the quality and price attached with a particular business but also helps in valuating the goodwill of the same in the commercial market. Most of the people identify a particular brand through its logo. For e.g. Nike, Mercedes, Adidas, Hyundai, Mc Donaldâ��s, Sony Ericson and so on. Thus in order to make people realize the goodwill of the business in a more proper and systematic manner, it is essential to have a logo of the brand or company along with its Trademark. A Trademark logo is also applied in the same manner as any other mark or name. As a general rule a logo should be applied independently to gain priority. A logo applied along with a particular name or brand shall not be given as much priority as required. The whole mark along with the logo shall be taken into consideration for registration. Thus this is the basic difference between a mark and a logo. However it is professional advised to file a logo along with the mark because logo helps in the immediate identification of a particular business. There cannot be a better medium to approach the hearts of different consumers and buyers than registration of Trademark. Trademark helps in creating impression in the minds of perspective buyers pertaining to a particular business. The impact concerning price, quality and goodwill of different business is coined in the minds of different people through trademark. Thus it is extremely important to register a trademark for proper protection and security. But before proceeding with the registration of trademark it is extremely necessary to search the same. If the captioned mark is not searched than there is every possibility that it might be opposed in the near future or at the time of processing of the application. The possibility of opposition mainly arises at the time when the mark is published in the trademark journal for opposition. The Trademark journal is open for each and everyone to watch. The captioned trademark lies in the trademark journal for a period of three months with further grace period of one month. If the trademark gets opposed within such period than the applicant is suppose to file a counter reply within two months from the date of receipt of such opposition notice. However, if it is not opposed than the mark gets registered for a period of ten years. Thus it is professionally advised by the experts of this firm to assign the matter to attorneys and agents expert in this field. The business of a particular individual, trader, manufacturer or service provider is recognised in the national or international market through his trademark. As a general rule, it is not at all necessary to register a trademark but in order to protect it from possible infringement it is necessary to register the same as early as possible. Most of the times, a trader or business holder doesnâ��t feel the necessity of registering the mark at the initial stages of business development, but with the passing of time the mark starts to acquire goodwill and reputation in the market. It is at this stage, when it becomes extremely necessary to protect the mark because the possibility of infringement increases with the increase in goodwill. The competition in the commercial market is increasing day by day. Most of the competitors are only concerned with the profit and nothing else. There is every possibility of infringement concerning a name or brand. Thus in order to protect trademark it is professionally advised by this site to register the same as early as possible so that all legal rights guaranteed under the Trademarks law can be utilized in a proper manner. Trademark Registry is a place where details pertaining to different trademark applications are maintained. Trademark Registry works and operates under the supervision and control of the Ministry of Commerce. The main office of Trademarks Registry is located at Mumbai whereas branch offices are located at different places throughout the country. A particular trademark application can be filed within whose jurisdiction the applicant has his principal place of business or branch office or resides. However foreign trademark applications can be filed at any of the Trademark offices. The branch offices are located at New Delhi, Chennai, Kolkata and Ahmedabad. The certificates of Trademark applications are issued from Mumbai office. The exact location and address of different trademark offices can be traced down by logging on to www.ipindia.nic.in. The site provides detailed information about the working of the office along with contact details of technical head of the trademarks. Registration of trademark gives exclusive right to the proprietor of the trademark to use the goods or services in respect of which the trader is registered. If two persons are registered owners of marks which are similar with or nearly resembles each other, the right to use the same shall not be acquired by any one of those persons merely by registration of trademarks but both shall have the same right to use it as if they were the sole registered party. However the law does not allow any person to use a trademark of other person as his own. There are basically four modes of acquiring a protectable right in trademark. These are by user, by registration, by permission or license, and by assignment. The Trademark Act was enacted with the objective of protecting the rights and interest of the proprietors of registered Trademarks. The common law pertaining to trademark rights is not intended to protect a person who deliberately sets out to take benefit oa goodwill of someone else especially when the reputation concerning goods and services extends worldwide. The Act ensures that the registered proprietor of mark has a monopoly right to that mark. The common law has been designed to prevent passing off and appropriation of someone else intellectual property. Trademarks are globally represented with the symbol â�¢. Most of the times people use to get confuse between the symbols TM and SM. It is to be noted that these symbols are nothing but two sides of the same coin. TM is used by some proprietor to denote their business in goods whereas SM is used to denote providing of services. The owner of the trademark gets the right to use the symbol TM as soon as he files the trademark application. The symbol denotes the fact that the captioned trademark is in process of registration and no attempt should be made to copy or use the same pertaining to the same goods. As soon as the application gets registered the symbol â�¢ gets replaced by the symbol Â®. Thus it can be termed that the owner of the trademark gets the legal right to use the symbol along with his mark from the date of filing of the application. The Trademark â�¢ symbol or logo portrays the fact that the particular mark has been applied for registration and no effort should be made to imitate or resemble the same. The symbol or logo â�¢ acts as a license to carry out the business legally under the concerned mark, name or logo. The symbol â�¢ provides legal authority to the registered proprietor or user to claim damages or compensation in case the concerned trademark gets infringed. is pending fro registration. Once the application gets registered it is replaced by the symbol Â®. The goods and services in India are basically classified into 42 classes. The first 34 classes provide detailed information pertaining to different goods that can be produced and sold. The rest of the classes speak of different services that can be provided in the commercial market. The symbol TM and SM basically helps the perspective buyer in identifying whether a particular business is in respect of goods or it is in respect of services. Trademark and Patent are two of the most important concepts of Intellectual Property Rights. The concept of Intellectual property rights has progressed immensely in the last few decades and its going to be revolutionized with the development of science and technology. In India all matters concerning trademarks are governed by Indian Trademarks Act, 1999 and all matters pertaining patents are regulated by Indian Patents Act, 1970. Thus the main objective of Tm-India is to make people aware of their rights pertaining to trademark, patent related concepts and to provide the best possible services honestly and efficiently. The topics trademark and patent involves a lot of technicalities and procedures. This technicalities and procedures should be handled professionally. Thus, it is very important that these matters should be handled by experts and professionals in the field of Intellectual property and not by any individual. TM-India comprises of a large group of professionals who are not only experienced with the concepts of trademark and patents but are well versed with each and every factor within the ambit of Intellectual Property Rights. Thus we can assure you that if you are looking for a place to provide efficient and prompt trademark, patent services there is no better place than. kindly contact us through e-mail or phone and our customer support team will contact you. Worldwide: All Countries including China, Vietnam, Hong Kong, South Korea, Philippines, Japan, Saudi Arabia, Kuwait, Nepal, Thailand, Sri Lanka, Taiwan, Pakistan, Bangladesh, United Arab Emirates (UAE ), Turkey, Iran, Malaysia, Indonesia, Singapore, Afghanistan , Europe's Countries including United Kingdom ( UK ), Italy, Germany, Spain, Russia, Ukraine ,Americas's Countries including USA, Brazil, Canada, Mexico, Argentina ,Oceania's Countries including Australia, New Zealand,Africa's Countries, Egypt, South Africa, Benin & Worldwide. Today, Trademarks have become one of the most sought after Intellectual Property, because they help in control of piracy of products & guarantee authenticity of the products. The increasing use of trademarks by business organizations has also aggravated the demand for legally registered and protected trademarks. In such scenario, Trademark Search is a widely availed service by corporates who want to obtain the best available trademark for their company as well as products. Currently several agencies offering assistance for registration of Trademark develop and maintain database of available Trademarks to further help clients to search and chose Trademarks. Each county maintains a trademark database and journal that helps in comparative analysis of trademark and deciding unique trademark for each company. Use of the product in concerned industry. Expansion, opening, incorporation or designing your logo. We are India's leading legal firm for trademark logo registration in India. For trademark logo registration services, we require information about the trademark, name of the applicant contact numbers etc. In order to proceed with Trademark Logo Registration in India, please fill up the below enquiry form or contact us on the mobile number given on top in right corner of this page. Worldwide : All Countries including China, Vietnam, Hong Kong, South Korea, Philippines, Japan, Saudi Arabia, Kuwait, Nepal, Thailand, Sri Lanka, Taiwan, Pakistan, Bangladesh, United Arab Emirates (UAE ), Turkey, Iran, Malaysia, Indonesia, Singapore, Afghanistan , Europe's Countries including United Kingdom ( UK ), Italy, Germany, Spain, Russia, Ukraine ,Americas's Countries including USA, Brazil, Canada, Mexico, Argentina ,Oceania's Countries including Australia, New Zealand,Africa's Countries, Egypt, South Africa, Benin & Worldwide. Trademark Logo represents diagrammatic illustration of symbol of the particular business enterprise which gives unique identity to the organization. Why to use Trademark Logo? Trademark Logo helps in offering special recognition to the business enterprise in its field of operations. It helps in building trust loyalty and maintenance of authenticity of the business enterprise. How to obtain a Trademark Logo? Trademarks are basically classified into two forms, one which is registered with government agencies and other that are unregistered. The registered trademarks offer certain exclusive usage rights to the owners. Indian Legal Consultant is India's well known Trademark legal consultant. Our experienced team in the field assist you the Trademark Application Process right from the beginning till getting the Trademark Registration. Kindly send us e-mail to get our assistance. Trademark Registration is becoming very essential for business entities around the world as more and more firms are coming up each day in a market with fierce competition. Federal Trademark Application is a process by which a company or an individual obtains legally registered trademark for their company, brand or products. A Trademark Attorney is a vital requirement of the Trademark Registration process who provides proper consultation and assistance in registering a trademark as well as handle other processes related to trademark handling. Infringement of a Trademark alludes to the usage of an organization's / individual / s trademark in different ways. It amounts to trade rights violation without authorization by the trademark owner or licensee.